Denny Jump (Bellevue, WA, United States) on 16 October 2012 in Plant & Nature and Portfolio. 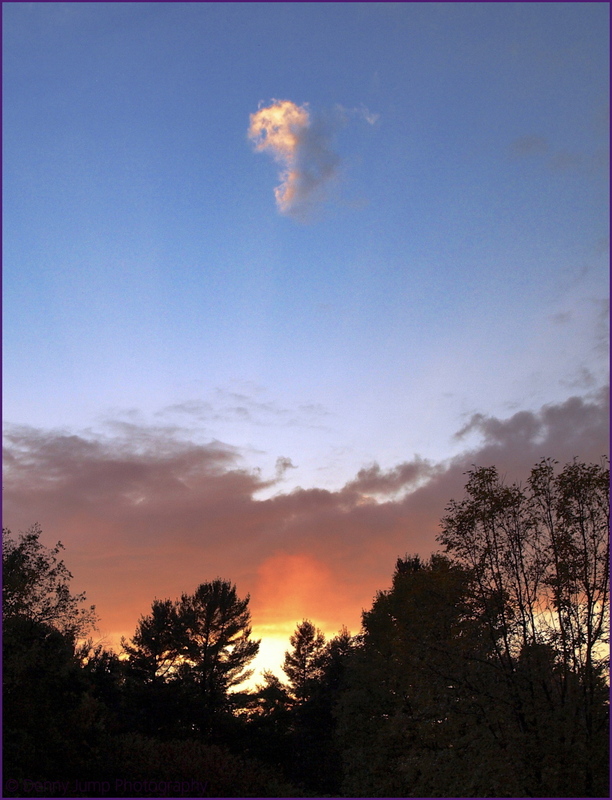 Whenever I see clouds like this in a sunset or sunrise setting, I think of that magnificent image by Galen Rowell, of the cloud hovering over Split Rock in California....The cloud in his wonderful picture always struck me as a puff of smoke. So, I decided to call this one "Galen's Puff". .....What a master he was! Isn't that beautiful. A lovely inspiration. Beautiful colors in the sky. Have a good day. @Richard: Thanks good friend, but not nearly as magnificent as yours for today...Just masterfu,l sir! It's like a comma ! Excellent title and commentary, Denny. The light hitting this little puff is magnificent - love this shot! Beautiful image Denny. Thank you for the commentary too, I didn't knew this great photographer! Great catch, Denny. The second I saw this I thought of Galen Rowell's split rock image, then I read your comments. As you probably know, Galen's image is on the cover of his book, "Mountain Light," which is probably my favorite photography book. Absolutely beautiful and I love the title! I hope you are doing well. I hope that work slows down for you sometime soon. I am doing ok. Scenes like this are a great food for our souls, and they keep us humble. Truly beautiful. A masterclass in taking a photo of such a wonderful setting. The light on the "free" cloud is wonderful. @Eric Cousineau: Thanks so much, Eric :-) Loved your shot for today as well - too funny! Not remembering, I seared for Galen's Split Rock image and it came right up. I can easily see why you titled this autumn image as you did. same as with judy ... i googled galen rowell and must say i was overwhelmed by what i found - the colours, the clarity, the sharpness ... all of the highest order! yours is a very sweet and fitting tribute, denny !! This is wonderful! The little puff has great personality! And you are so right...He was and still is THE landscape master! How lightful and poetic !